This traditional British classic dish is the easiest way to make use of last night’s leftovers. 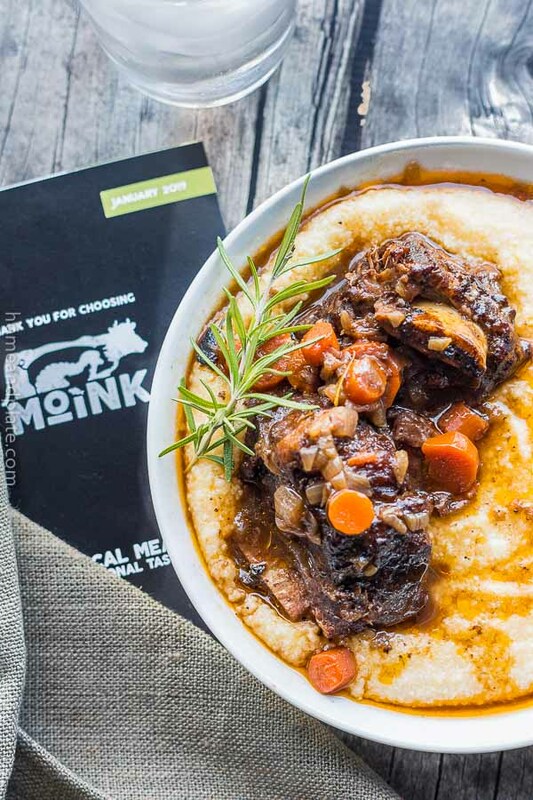 It’s hearty and serves the entire family for a quick midweek meal. What’s the difference between a cottage pie and a shepherd’s pie? 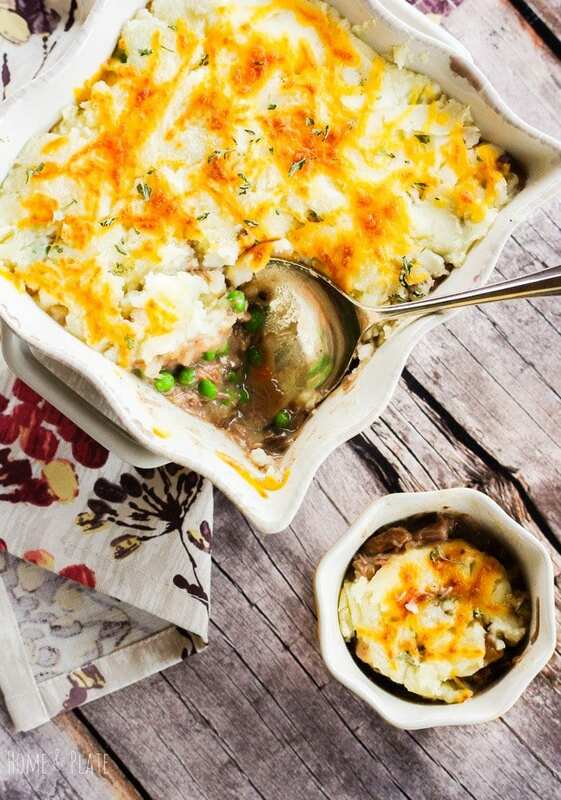 Cottage pie is traditionally made with beef while shepherd’s pie is made with lamb. Call it what you’d like, I call it delicious. 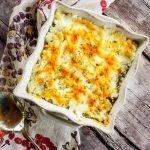 Similar to a chicken pot pie, this dish is mixed with veggies in a homemade gravy but topped with mashed potatoes instead of pie crust. For this recipe, I used leftover beef brisket. It’s my beef of choice when making pot roast because it’s never tough, shreds easily and is just full of flavor. Ground beef or lamb works just as well if you don’t have leftover roast available. Just brown it and use in place of the brisket. I’ll always make plenty of mashed potatoes to go along with a pot roast because it is the best part of comfort food, don’t you agree? Store-bought mashed potatoes works well in a pinch. I always have a bag of potatoes in the pantry but I will buy fresh, not instant, if I’m not making my own. You just can’t go wrong with Bob Evan’s mashed potatoes. 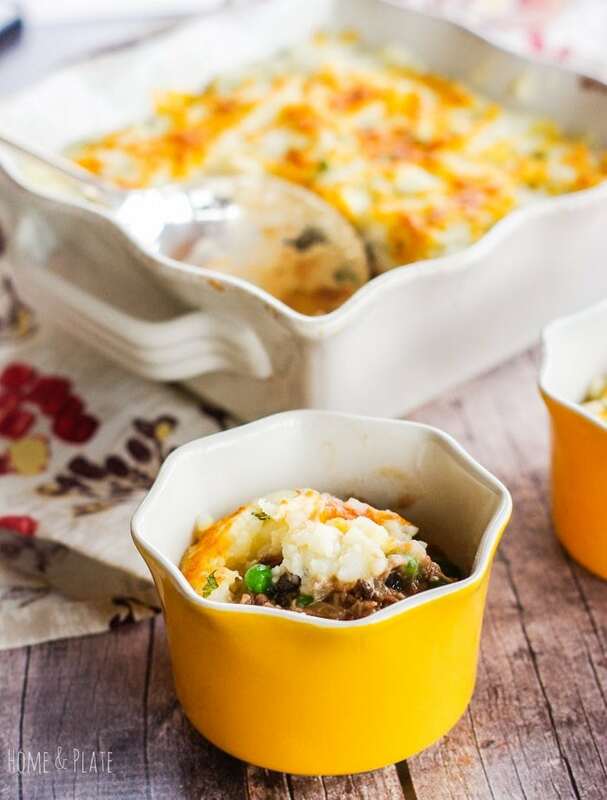 Ohio is cold in the winter and there’s nothing better than coming home from a long day to a delicious and hearty cottage pie warming in the oven. Preheat the oven to 400°F. Slowly reheat or microwave the mashed potatoes until smooth and creamy. 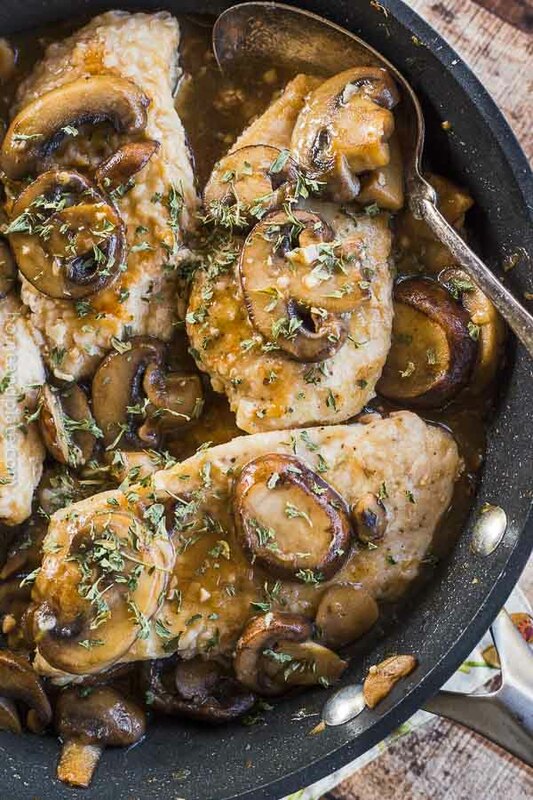 In a medium sauce pan, add the olive oil and sauté the onions and mushrooms for 3 to 5 minutes until softened. 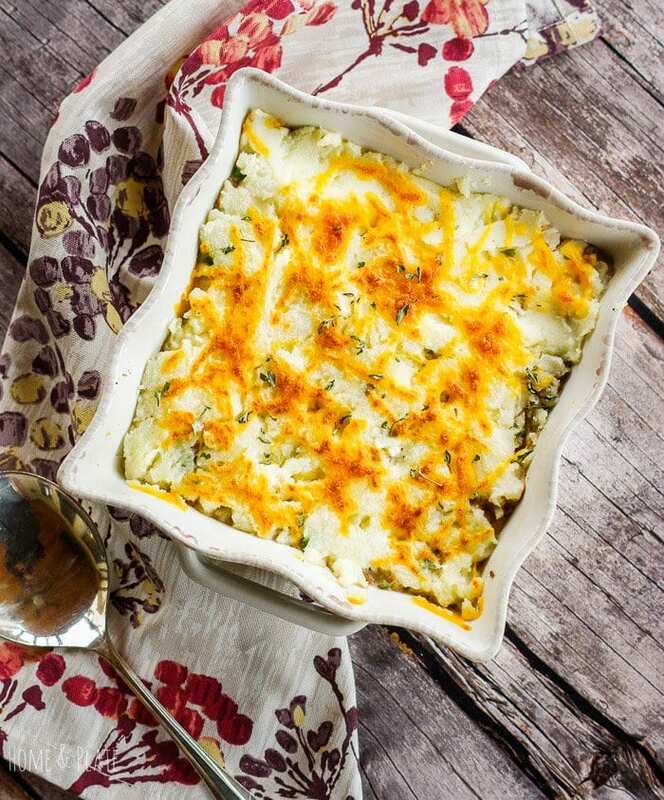 Pour the mixture into a 9-inch square baking dish and smooth the mashed potatoes on top. Sprinkle with shredded cheddar cheese and bake for 20 minutes, until the cheese has melted and the potatoes are browned slightly. Yes and an easy dinner ready in 30 minutes. 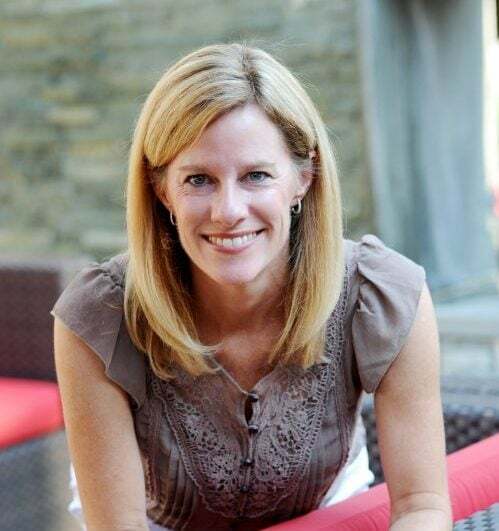 Thanks Suzy! I have a leftover roast in my fridge right now. What a great way to turn leftovers into a new dish. I’m looking forward to trying this! 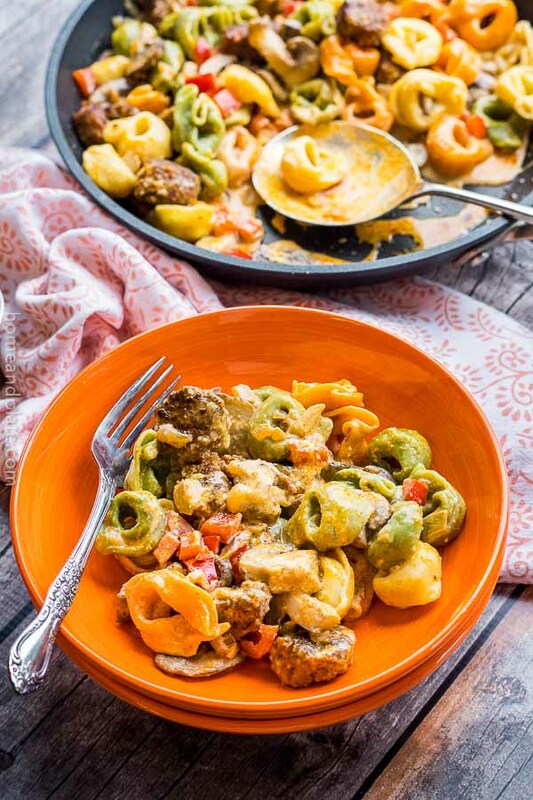 This is a delicious way to disguise the leftovers! It looks so comforting for this cold weather. 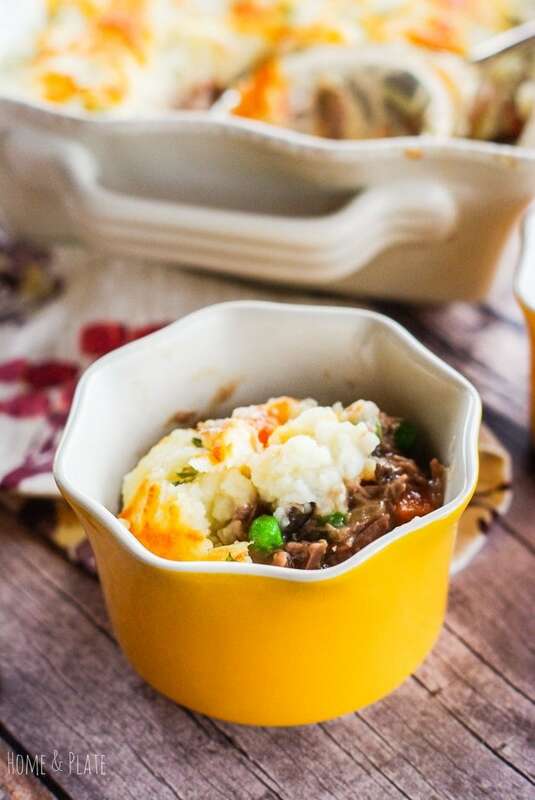 I love this idea of using leftovers to make this cottage pie! So so clever! And so so delicious no matter if it’s a shepherds, cottage or leftovers pie! Pictures like that make me literally drool! lol. I love that recipe, definitely going to try it out! Made this tonight and my finicky husband ate two full helpings and was sniffing around my plate asking if I was going to finish mine. Came out perfect, thanks for the great idea! I love this! It is a great way to use up leftovers and everyone is happy. Thanks Barbara …I’m glad you and your husband liked it.